Touch screen devices – they all seem to be the same rectangle with rounded corners. Some more than others to the point that Apple is having their products banned. Some say there’s nothing much you can do – it’s the optimal use of space when a screen is rectangle. Nokia went a different way with the N8 introducing tapered edges both top and bottom. This continued with the E7, X7 and some lower end devices. We even saw some potential Nokia tablets sporting that shape. For the most part, that shape was synonymous for Nokia. Some others liked that trend. Acer’s Iconia phones and tablets looked like Nokia products. More recently, Motorola (is this a fruit of MotoGoog?) 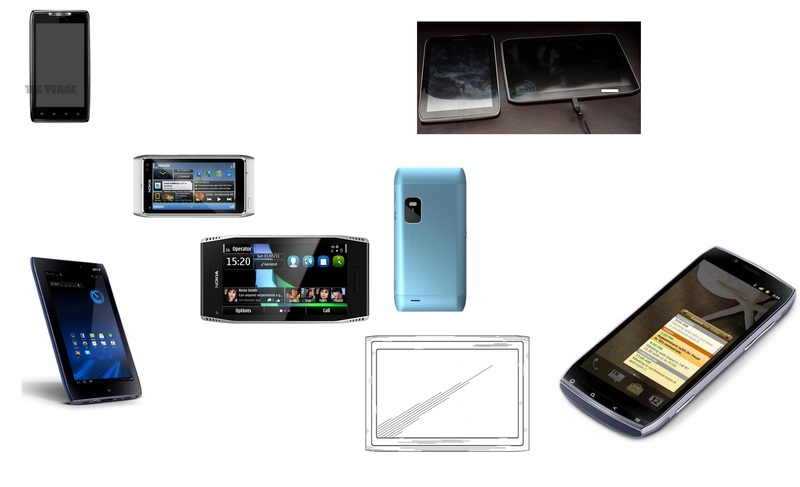 have also followed and produced their own N8 like phones and tablets (shape wise). I guess this is how they will save themselves from Apple – and Nokia hasn’t truly made this shape their own world wide yet, especially with N9 and future devices sporting side tapering (looking rectangle from front view, but tapering at side view). Props though for making the whole phone face flush with essentially one tone (black). The N8 and E7 sometimes do look like they’re an iPhone in a case. Do you think Nokia should have stuck with this front tapering design or do you prefer the new direction with N9 design?